Work for Oracle Insurance Policy Administration for Life and Annuity? Learning about Oracle Insurance Policy Administration for Life and Annuity? "Review of Oracle Insurance Policy"
I like the adversity of it. It is backed by highly intellectual individuals who can be there at a moments notice. I have found that oracle has a lot of areas of expertise in the IT field and I do not know how good their expertise is in policy admin compares. I don't know. It is new and I personally am no longer using it. I enjoyed it while the time lasted, however. It made processes much more efficient. I recommmend this product. Business problems solved with policy admin have saved the company hundreds of thousands of legal issues. We have realized the benefits of cost savings with the initial investment in Oracle. This is a single-platform product with ease of use for non-programmers. The issues this platform addresses are complex, and no one product can substitute for knowing what you're doing. This product is no different. Like most products, it still can't replicate education or teach you how to understand these issues. We're still waiting for a product that can teach as well as it operates. This product can assist with compliance issues, as it documents as you go. If you're audited, you'll be glad you have this product. Its a good resource, for managing but you need someone who understands the software. It is a dexterous system if you know how to work with it. Oracle is an adept system which can encompass a lot of info. I am keeping track of a lot of data. It has an easy to use interface which makes using it efficient. Sometimes it can be a little slow.. especially if there's multiple applications open. My favorite aspect when using Oracle is the ease of use when it comes to the interface. Sometimes details of certain offered policies can be more sparse than I’d prefer. It makes life easier in that it gives many options in one place which saves me the trouble from having to go to many providers. The ease of use. 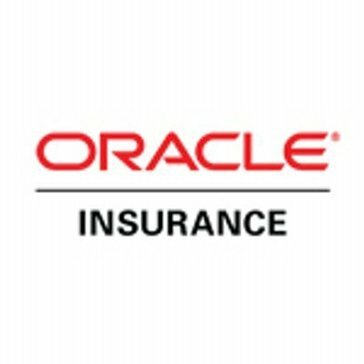 Oracle set up a program that was unique to the insurance company's needs. The layout, font, and overall look is outdated. I feel that it could be modernized. We are solving issues regarding organization and response time. benefits are increased productivity and management of data. Very secure system, easy to learn and navigate. "a decent system for file management"
Easy to navigate and customize views. Make sure navigation makes sense. Easy place to store data and perform internal research. * We monitor all Oracle Insurance Policy Administration for Life and Annuity reviews to prevent fraudulent reviews and keep review quality high. We do not post reviews by company employees or direct competitors. Validated reviews require the user to submit a screenshot of the product containing their user ID, in order to verify a user is an actual user of the product. Hi there! Are you looking to implement a solution like Oracle Insurance Policy Administration for Life and Annuity?